2.5x5mm Halo French Rose two hole Czech pressed glass super duo seed beads. 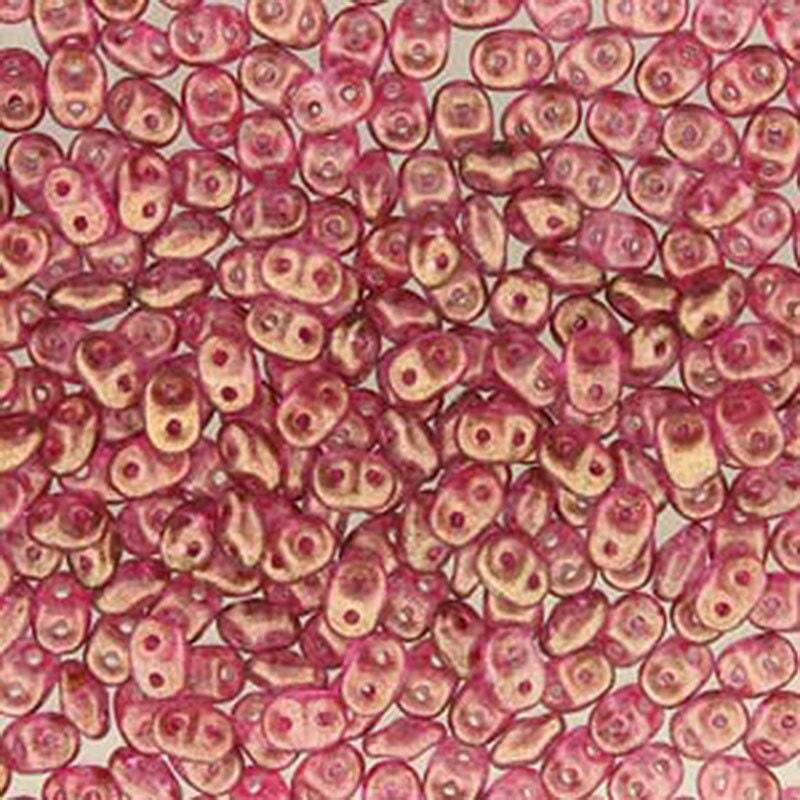 Beads are a translucent antique rose pink with a light golden shimmer. Really pretty color of Superduo beads that I've not seen many other places. Great for Valentine's Day jewelry that can be worn all-year. Wonderful transaction. Recommend SouthPassBeads.